TNR the Real Charsiew by Sean & Angie was the former "my Toast n Roast". The famous char siew shop in SS2 Petaling Jaya (Chow Yang) was still sporting the "my Roast n Roast" signboard when we were there last month. So, look out for the "my Toast n Roast" signboard until they change it. 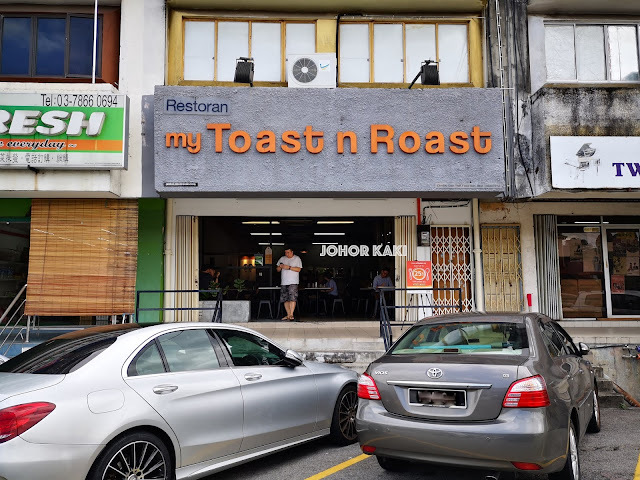 I didn't take any pictures of the interior at TNR / my Toast n Roast. It had a trendy hipster cafe type ambiance instead of the usual kopitiam or Chinese restaurant feel. The space was bright and airy, and decor was minimalist chic - it's very comfortable with air conditioning. We asked for the fatty cut. 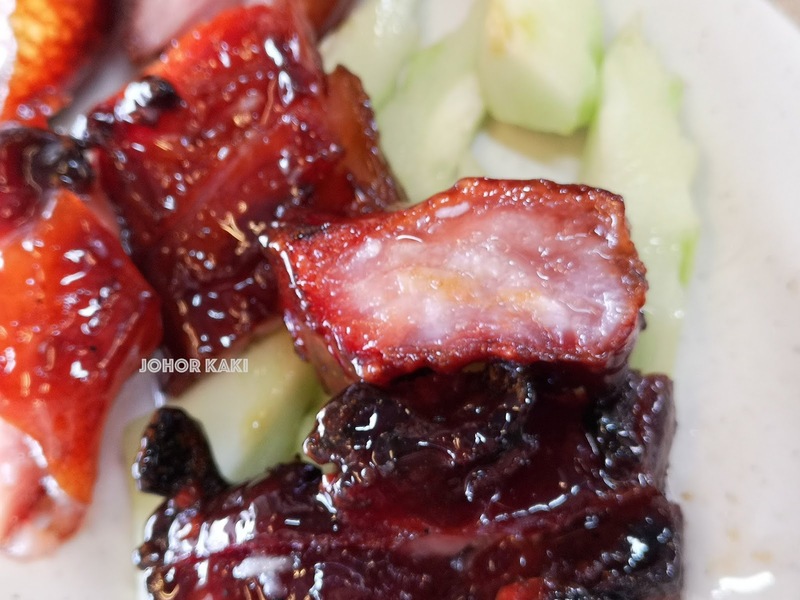 The char siew was red-orangey outside with about a third roasted to a char. 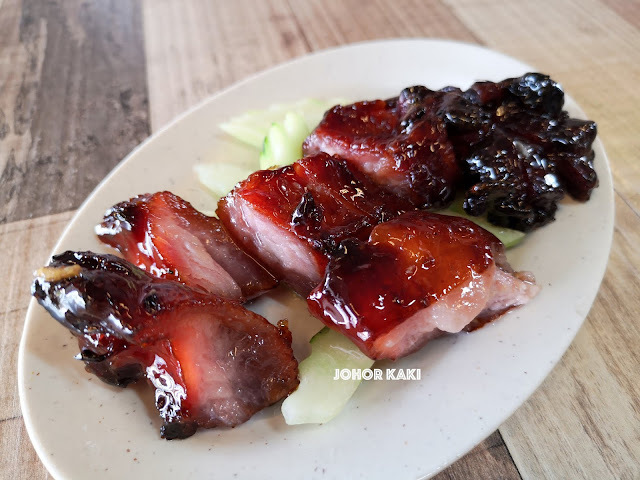 The char siew had a glossy gleam outside (from caramelised sugar). 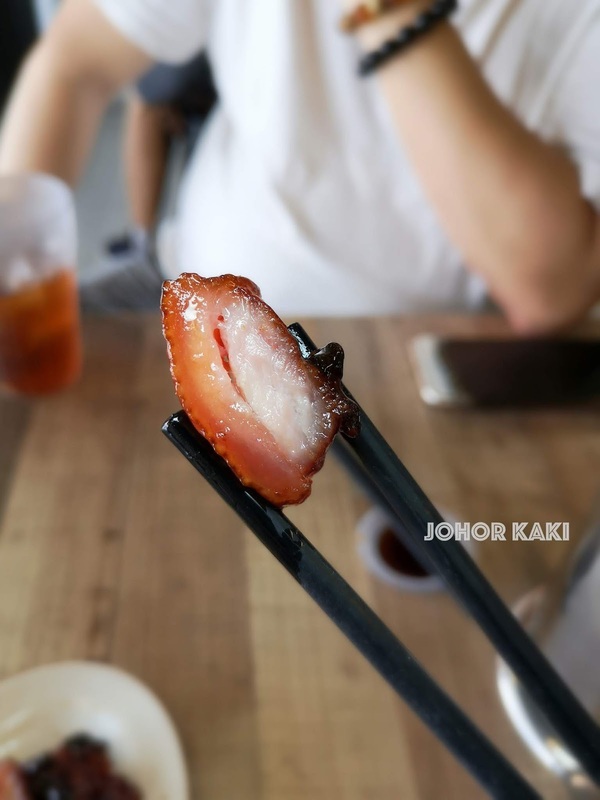 The char siew had a firm surface while inside it was tender (but not soft). The sugary glaze was tacky to the bite. 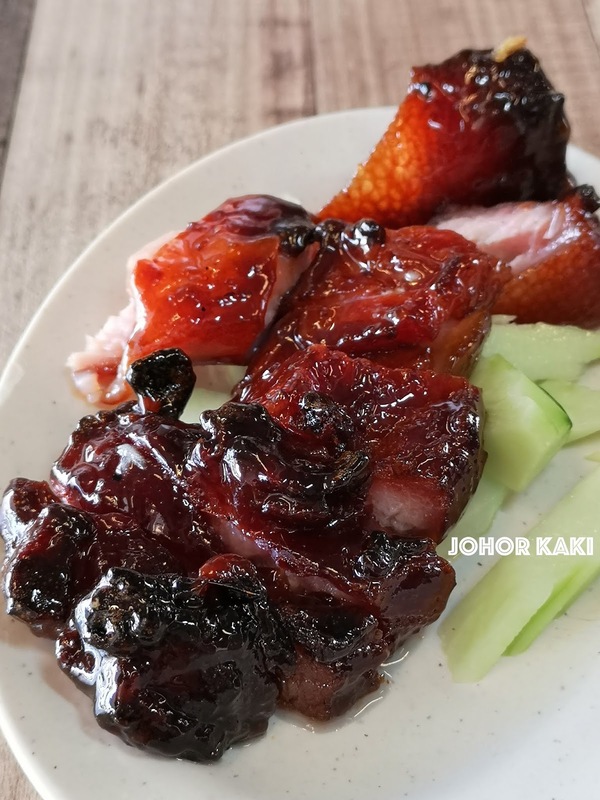 TNR's char siew is often described as "melt in the mouth" but it was quite stiff and chewy today. The flavours were robust - assertively sweet followed by salty-savouriness. There wasn't any natural fresh porky sweetness. Its candy sweet savoury taste reminded me of Singapore bak kwa (heavily seasoned BBQ pork slices). I am over sensitised to sweet food as l am borderline diabetic and because l live in Singapore where l am bombarded regularly with "War on Diabetes" propaganda. 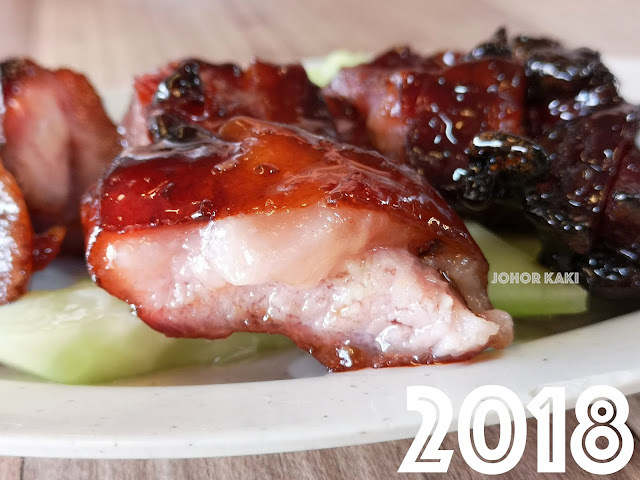 Information for you 👉 One of the most popular char siew in Kuala Lumpur/ Petaling Jaya. A bit too sweet and the outside a tad too stiff for my liking. 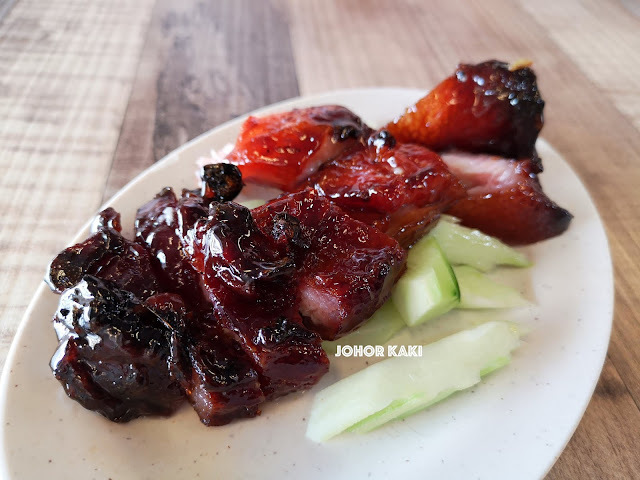 Worth a visit if you like your char siew candy sweet and firm to the bite (like a chunky form of Singapore bak kwa). ☝Why you should never tell pigs any secret?